Berwick Rangers have released a statement regarding Clyde FC's forfeited matches, which have helped to leave them bottom of League Two. Results have also helped to leave Berwick bottom of the table, but the fact remains that the club would not be bottom based on points gathered on the field. Albion Rovers and Queen's Park were the beneficiaries of a mishap which saw Clyde field ineligible player Declan Fitzpatrick twice, resulting in both collecting 3-0 wins (Clyde had beaten Albion 1-0 and draw 1-1 with Queen's Park). Clyde released a statement on Monday night highlighting their arguments, and what they say as injustices in their case. Berwick have now backed that statement. On Tuesday, the club said: "Berwick Rangers are fully supportive of the Statement from Clyde FC made on Monday evening 15 April. "As a matter of note, Berwick Rangers had already tabled a rule change proposal to the SPFL to allow a club to recall a player from a loan at any time, not just in a transfer window, and for players to play at all club levels not just Reserves, if recalled. This will be looked at in due course. 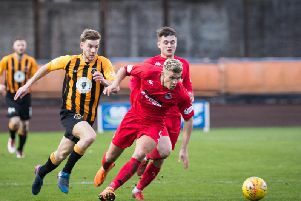 "Berwick Rangers were advised that they could not be involved in any official appeal as they were not directly at that time involved in either game. "However Berwick Rangers feel that they have been hugely involved through no fault of their own, considering the current league positions. "Berwick Rangers question the timing of the announcement of the awarding of a 3-0 win to both other clubs, by the SPFL, this on the morning of games. "The result of the Clyde SFA appeal was held over from a weekend to the Monday. 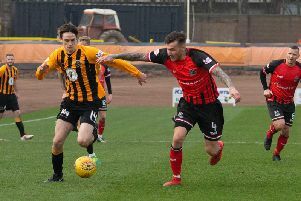 "There was no precedent in previous seasons, that Berwick Rangers were aware of, for awarding an opposition team a 3-0 win as well as inflicting penalties (this time on Clyde). The 2014 Peterhead v Ayr game is an example, when it was decided the game should replay, this after an ineligible player was used in the original game. "Clyde FC have highlighted this on comments in their statement including alleged quotes from the SPFL’s Neil Doncaster at the time. "Hearts FC also played an unregistered player this season in the Betfred Cup and the opposition, Cove, were not awarded the game. Hearts were deducted some points. "Berwick Rangers appreciate that if rules are breached some form of penalties are imposed but refer to above comments. "Berwick Rangers appreciate a season is over 36 games but simply highlight the above for consideration. "The club will not make any further comment at this stage and now the club will be focussing all efforts on the final three games of the league season and urge fans to join them in giving every support and encouragement to the Manager, Coaching Staff and Players."